Enjoy the benefits of living in a premier location at 23West. Your Gainesville apartment home should be part of a community that provides easy access to local shops and restaurants, which is precisely what 23West offers. Residents of 23West live just minutes from Gainesville’s best shopping destinations, including The Oaks Mall, Butler Towne Center, Celebration Point and Archer Road. Commuting will be a breeze when you call 23West home, just .5 miles from Newberry Road and I-75. Parents benefit from living at 23West too, considering we are zoned for some of the best schools in Alachua County, two within walking distance! Don’t miss out on being one of the first to live in these luxury apartment homes. Apply Now! 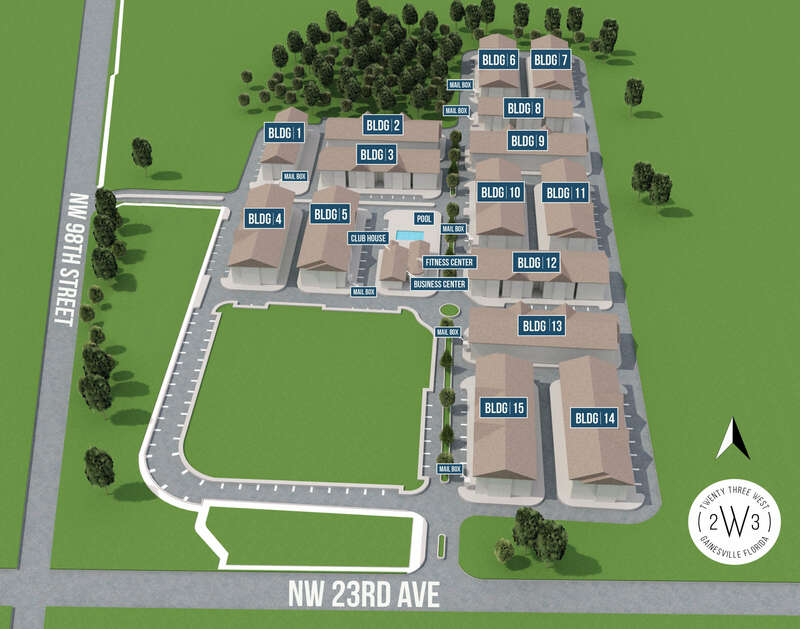 Parents prefer 23West, because our community of luxury apartments in Gainesville offers students easy access to local schools, including Hidden Oak Elementary, Fort Clark Middle School, and Buchholz High School. While The University of Florida campus is also nearby.